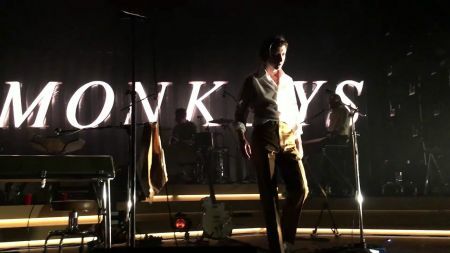 Watch: Arctic Monkeys perform Elvis Costello's "Lipstick Vogue"
Arctic Monkeys paid tribute to Elvis Costello at their live show last night in Lyon, France with an electrifying cover of Elvis Costello & the Attractions track “Lipstick Vogue” from the 1978 album This Year’s Model. Turner poured a lot of passion into the performance, pausing at a music break to encourage the crowd as they broke into a chant. He ended the performance with a sincere thanks saying, “Merci Beaucoup, let’s hear it for Elvis Costello” and the audience cheered in reply. Per Rolling Stone, the popular pair of UK artists performed the song together at a sold-out Costello concert at Beacon Theatre in New York in 2011. Costello caught Arctic Monkeys’ current cover and gave them a shout out via Twitter advising them he is “doing fine.” (Read Costello’s post below). Arctic Monkeys are currently on tour with Mini Mansions to support their recently-dropped sixth studio album Tranquility Base Hotel & Casino. 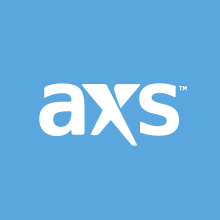 The tour includes a stop at Veterans Memorial at the Coliseum at the Rose Quarter in Portland, OR on Oct. 24 (Click here to purchase tickets).